With features that range from catamaran-inspired accents and smartphone capabilities to Toyota Safety Sense™ driver-assistive systems, the Toyota Camry is a versatile car that shoppers shouldn't miss! 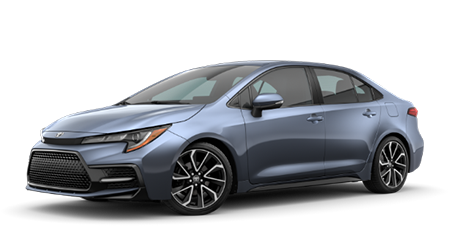 If you're looking for advanced technologies like heated front seats, a Smart Key System and Hill Start Assist Control, visit us to meet the Toyota Corolla sedan! The adventure-ready Toyota RAV4 boasts impressive amenities, like an integrated backup camera with projected path and an Entune™ Audio system, so shop the model lineup now! The Toyota Highlander lets you bring along all your friends, as it features seating for up to eight, impressive cargo dimensions and three-zone automatic climate control! 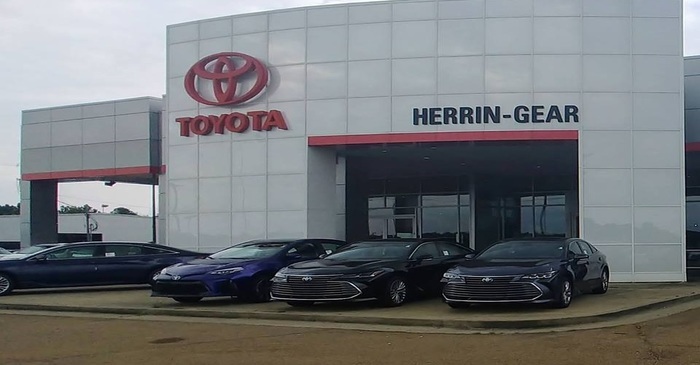 Herrin-Gear Toyota in Jackson, MS, is a new and pre-owned Toyota dealership serving drivers from Pocahontas and Canton that features competitively priced Toyota cars, Hybrids, Crossovers, and SUVs. Drive home in the new Toyota Corolla you have your eye on or increase your cargo room and versatility with a Toyota 4Runner. Take advantage of our simple-to-use website to begin researching your next new car. Our dealership in Jackson, MS, offers dynamic specials and competitive rates that make it easy to drive home in a new or pre-owned Toyota. Contact us at (601) 882-0351! Herrin-Gear Toyota is proud to be locally owned and operated for over 45 years. Assisting drivers like you to find their next Toyota vehicle is why we have been honored with the President's Award, Best Of Jackson Car Dealer Award, and Dealer Rater Ms. Dealer of the Year Award. You should definitely come here if you're looking for a Jackson dealership that offers bad credit financing, professional auto services, and a large selection of cars for sale. As a Toyota dealer in Jackson, MS, it is our job to make you feel comfortable at our location, whether you're looking to finance a new sedan through our bad credit financing program or need routine maintenance. Drivers trust us with all things automotive because we have a proven track record of honesty, affordability, and dependability. We invite drivers to our location so that they too can enjoy the Herrin-Gear Toyota difference. 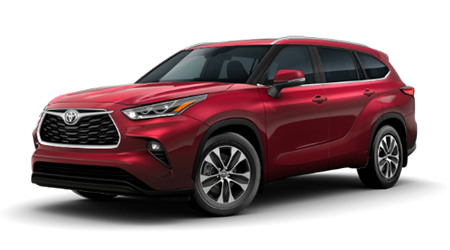 Our Toyota dealership carries an exciting selection of sophisticated new Toyota models to enjoy, so visit our convenient location near Pocahontas, MS to explore the lineup now! The friendly sales team here at Herrin-Gear Toyota is knowledgeable about every new car we put up for sale, and we're eager to showcase the various trim options and safety features that are available. Test drive a new Camry, ask about the amenities on an eco-friendly Prius or inquire about the warranty a Tacoma comes backed by! While you are scrolling through our website, click on pre-owned cars for sale and check out our complete selection of pre-owned models! At our auto dealer, you can shop confidently, as we put every pre-owned car we carry through an intense multi-point inspection process and even off certified pre-owned options that meet the standards that have been set forth by the manufacturer. Browse our pre-owned cars for sale online before visiting us in Jackson, MS for a more customized shopping experience. The finance associates at our Toyota dealership are here to help you take home that new or pre-owned car you have your heart set on, regardless of your credit score. Contact us any time to learn about the bad credit financing options we offer pre-owned car shoppers or complete one of our credit applications if you're ready to apply! We work with many different loan lenders in the area so that we can be sure we are evaluating all the auto financing packages that are available to you. 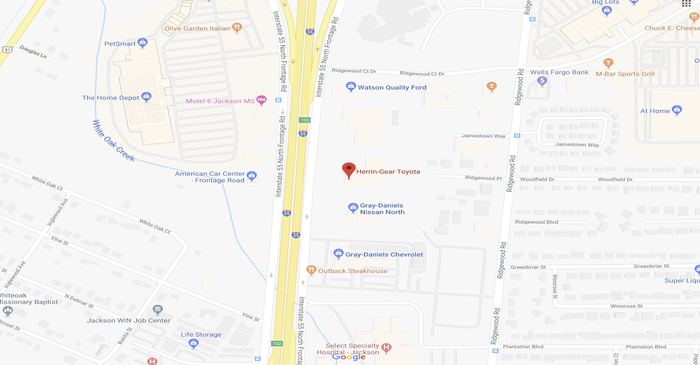 At Herrin-Gear Toyota, we have four master technicians and eight certified Toyota technicians, plus six Toyota certified oil technicians, so if your Toyota Corolla sedan is in need of auto care, visit us in Jackson, MS today! Routine maintenance that follows Toyota's suggested intervals is essential to promoting a healthy vehicle lifespan. From oil changes and battery replacements to brake pad replacements and tire care, our new and pre-owned car dealership's service center is here for you. Book an appointment via our online scheduling form no matter the brand of vehicle you drive; we can assist all our Canton neighbors! For all those near Pocahontas, Mississippi, who like to complete work on their pre-owned Toyota Tundra at home, our parts center is here to ensure you have all the original equipment manufacturer items you need to get the job done. OEM parts protect not only your car's original warranty but its efficiency, performance and resale value, so before beginning work, place an order for genuine car parts through our Herrin-Gear Toyota website. If you're not sure what your vehicle is in need of, visit us for part identification assistance! Why Buy at Herrin-Gear Toyota? 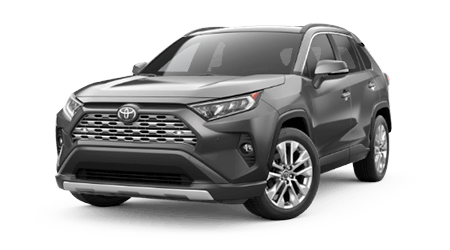 Here at Herrin-Gear Toyota we not only offer a dealership certification on our certified pre-owned Toyota inventory but we keep prices competitive and offer customized shopping plans. When you visit our new and pre-owned auto dealership, you get to enjoy a stress-free sales, finance or service process, with help from a friendly, knowledgeable associate. We've worked hard to streamline your vehicle experience, so don't hesitate to browse the resources we've made available online before visiting our Herrin-Gear Toyota team in Jackson, MS!